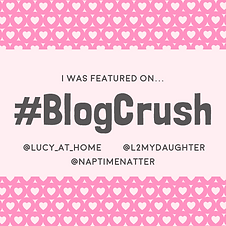 Thanks to Lucy over at Lucy at Home for featuring little old me this week for last weeks Questions I Asked My Kids on her #BlogCrush post. For those visiting from there, welcome to my fun place. These questions are a weekly occurrence. To my faithful readers, welcome back. You know there is often hilarity here. We put the fun in dysfunctional and the chocolate in the freezer. Feel free to let me know which answer made you laugh the most. 1. Why do we sneeze? 2. What’s one food you would like to eat every day? 3. What would you like to build out of snow this winter? 4. What’s the best thing about Christmas? Bang: Hanging out with the Elves and you get presents! 5. If you could have a body part of any animal, what part of what animal would you want? 6. What’s your favorite Christmas decoration? 7. How many chocolate chip cookies can you eat? 8. What do mom and dad do when we stay up late? 9. What’s the one thing you want most for Christmas? 10. What color would you like our house to be? Bang: The color it is now… blue. What are your kids asking for this year? Let me know below! Come join the fun over on Twitter and Instagram and Facebook, too. You thought you understood parenthood perfectly before you were a parent but now that you’re a parent you realize you know nothing about parenthood. What is all over the bathroom floor? How did you get water on the ceiling? Why are you sitting on your brother’s head? Why did you put three DVDs into the DVD player? Why did you think eating the whole thing was a good idea? Who peed on the toilet seat? What are you doing up at this hour of the morning? Why are writing on the walls? Did you ask your father/mother, yet? Didn’t I answer that question already? Why are you peeing outside when we have a perfectly good bathroom inside? How many times do I need to tell you ___(Fill In The Blank)__? because it’s bedtime or because it’s bedtime! Come to think of it, you could easily replace “You might be a parent if” with “You might be tending to a drunk if” The similarities are uncanny. Raising children is like caring for someone too drunk to know that the potato bin is not a toilet. at the end of the day, all the frustrations, all the arguments, and questions, and exausting coversation, all that really matter are the little hearts that love you more than anything in the whole wide world… all the way to Jupiter and back. Yep, here we go again. First, I should give credit where credit is due. The boys helped us clean yesterday. The kitchen, the living room, one vacuumed the floors and the other vacuumed the stairs, and they put their clean laundry away. They mooed moaned about it at first, but once they got started they rocked and rolled and I was impressed. Today, after skating, I asked them to clean up their toys in the basement. I was less than impressed. Dear Lord in Heaven, I thought WWIII or armageddon or the zombie apocalypse was upon us. The noise that was emanating from down there was heard three counties over, I’m sure. One would stop cleaning and the other would start yelling that he stopped. One would start singing and other would yell to stop singing. One would throw a block and the other would yell about it. Then they’d both coming running to be the first to tattletale. I would tell them I didn’t want to hear it from either of them, to get back down there and finish cleaning, and I would return to cleaning the kitchen. They’d storm back down. Then the fighting would resume. They knew they had until suppertime (an hour from when they started) to get it clean. It could have taken them fifteen minutes. After an hour, they had barely started. After supper, I asked, “How many garbage bags should I take to the basement? Will I fit what’s left to clean in just one or should I take more?” The reply I got was zero (which is a number and it’s even) and they went back down to clean. Can you believe they started fighting again? So at 6pm they were sent to their room to get pajamas on and get ready for bed. Now the basement door is locked and their toys are off limits. DW and I will go through them and round up all the ones they no longer play with and relocate them to a new home or toss them to the curb if they’re no good. So today was just one of those days. They usually happen around this time of year. You would think with Christmas coming and the prospect of Santa and joy and decorations and music that happiness would abound. Alas, no. The stress and the pressure build up like magma under the volcano until it all erupts. The silver lining? I have evidence that the 10 year old still believes. When I told him I was collecting his toys in garbage bags he told me that I could explain to Santa why all their toys were thrown out. Now they’re asleep. There’s no more arguing and bickering. All is quiet. There’s even a dusting of snow outside. Even if it won’t last because it’s supposed to be 9 (48F) on Wednesday, it’s still calming to look at. Here’s to starting over tomorrow. Tomorrow is another day. I just hope it’s not another day of sibling rivalry. For all the fun stuff, follow me on Instagram (Crash pretending to be Frosty) or on Facebook or Twitter. We’re down to just 29 sleeps. Exactly 4 weeks from today will be Christmas Eve. The weather here is balmy (literally) 12 degrees Celsius (53F). It was like that yesterday, too. We spent yesterday day hanging Christmas lights and decorating outside. For me, it was an excellent excuse to hang out on the roof (see my Instagram for that photo op). While you’re there you might as well follow me because our Elves will be returning on Friday and you’re not going to want to miss the shenanigans they get into. I will be posting their daily antics in what I call “The Daily Elf”. Now if you’ll excuse me, Bang is pretending to be Joseph and he needs a wise man. p.s. I LOVE sharing your posts. All I ask for is a simple thanks (and perhaps share this wherever you feel like sharing). In case you were looking for me elsewhere on social media, look no further than Twitter and Facebook! I hope all my American family and friends enjoyed a very happy Thanksgiving. I miss the days of gathering at Grandma’s house. We’d feast, we’d slip into a turkey coma for a bit then we’d play some football in the front yard. I wish the boys were able to experience it, too. Not to worry though, we’ve got our own traditions going. We normally cook a turkey and stuff today to celebrate. However, today was just too crazy. This weekend will be for putting up outdoor decorations. As of this typing the only decorations we have up are the count down chain that’s currenly at 32 more sleeps. Have you started decorating yet? 1. What would be the best Christmas present for you? 2. What would be the worst Christmas present for you to get? 3. What’s your favorite smell? 4. What’s your favorite thing about dad? 5. What’s your favorite thing about mom? 6. Where is your favorite place in the house? 7. Where is your favorite place to hide when we play Hide-n-Seek? 8. What’s your favorite time of the day? 10. What part of your body is your favorite? If you ever question where else you can you find me, look no further than Twitter, Instagram, and Facebook. It’s the best I can do tonight. I’ll be back tomorrow with the boys answering some questions… If you have a question that might provoke a funny answer, leave it down in the comments and I’ll include it! In the meantime, you can check out Facebook, Instagram (to see me in a pink bear hat), and Twitter. This month, we’re editing months. Which makes no sense, if you could see my life right now. 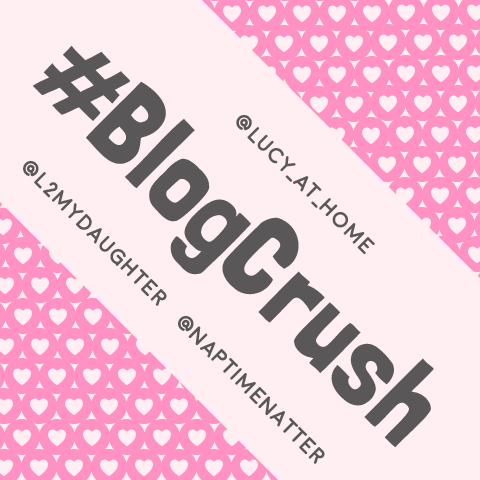 It entails zero time to do things I love – namely, converse with my blogging friends and eat enchiladas. I even had to alter my procedure for Six Words to get enough entries this month. Normally, I invite people by email after I’ve visited their blog – or answer email sent to me asking for the prompt. This month, I read fewer blogs than I could eat enchiladas. So I sent out word by social media. The response was strong! Once a month, as you know, I ask strangers, friends, bloggers, and strange blogger friends to respond to a prompt in six words. They’re getting married! Bang and the neighbor’s 9 year old daughter are getting hitched April 5th. They’ve spent two days planning it, too. They’ve set a $60 budget and have planned a menu of grilled cheese and ice cream sandwiches with sticky hot fudge. The planned ceremony is to take place in the backyard where I’m the priest (I’m to end the ceremony by saying “You may not kiss the bride”), Crash is a watcher because he’s rude (though he might get to be the best man) and the bride’s sister will be a flower girl. The young couple will then honeymoon at one of two public pools here in town. Then they’re going to get divorced. Why? So they can get married again! It seems they want a wedding, not a marriage. 1. What the difference between a coyote call and a wolf call? The long distance charges. Those wolves call family to family and they’re always calling long distance collect. Coyotes howl as part of pack behaviour. If the howling is all at one high note, it’s for calling the family together. Coyote packs are usually smaller than wolf packs, usually with no more than half a dozen coyotes joining in the conversation. You can tell the pack has arrived when the howling gets higher in pitch, mixed in with high-pitched yelps and yips. Howling is also used to warn rival coyote packs away from a pack’s territory, like Jets and Sharks. There’s westside coyotes and Eastside Coyotes. Or maybe it’s the Greasers and Socials in coyote Outsiders. Wolf howls are far more sophisticed. They speak proper, very unlike the slang those Westside coyotes howl. Wolf packs are rarely smaller than a dozen and can have as many as thirty six. They will harmonize with each other to bluff rival packs into thinking they’re bigger than they really are. Howling isn’t just for family calls, sometimes it’s for business. Hunting howls are the shortest and highest pitch of the wolf howls. While coyotes howl on one, high pitch, the wolves howl alternate between two pitches. When they’re very close to their prey it almost turn to a bark. I’ve kayaked with whales and dolphins but hearing a wolf howl would rank even higher in lifetime achievements for me. 2. When did Mia Hamm stop playing? Ahh, Mia. I may have had crush on her in high school. I got all glassy eyed my freshman year in high school back in ’91 when Hamm played in her first World Cup in China. She was a powerhouse on the pitch. She’s done big things for women’s soccer and women athlete in general. And I’m not just talking about winning two Olympic gold medals and two women’s world cups. She’s helped bring women’s sports to the forefront. She helped shine light on the discrepencies in the pay scale between male and female athletes. She held the record for most international goals scored by a man or woman until 2013. Now she trails third behind teammate Abby Wombach and Canadian Christine Sinclair. Still respectable. She’s been inducted into four halls of fame. She is now co-owner of The Los Angeles FC and a global embassador for Barcelona FC. Her last game was August 26, 2004 where she led the team to a gold medal in the Olympic games in Athens. Now, if she’d just give me a howl call I’d mark that as a lifetime achievement even higher than kayaking with whales and dolphins. 3. Why do we have seasons? Baseball season. Hockey season. Dear season. Christmas season. The dreaded tax season. Of course, these aren’t the right seasons. I think we all have a favorite. I like them all. Until the end of them, that is. I enjoy summer, but by September I’m ready for cooler weather and all the things of fall. Same goes for the other three seasons. There is a reason for all the changes, though. The Earth is tilted on its axis, like drunk trying stand. This creates times when the northern hemisphere is receiving direct sunlight and other times the south gets it. The way I liked to explain it to my fourth graders is to imagine a bon fire being the sun. You hold your hands up to it to warm them. However, if you hold your hands directly over it you’ll probably get burned. That’s the difference between summer and winter. If the Earth were not tilted it would be spring eternal. It has nothing to do with distance. The northern hemisphere is actually closer to the sun in winter. In winter, I snuggle a little closer to my little furnace, DW, too. 4. Is zero even a number? There are imaginary numbers, which we use to do squares and square roots of negative numbers. There are real numbers, too. Those are all the numbers that have a home on a number line. There are rational and irrational numbers. Rational numbers can be expressed as a fraction, decimal, or whole number. Irrational number cannot be expressed as a fraction. Like pi, they are decimals that go on and on and on on an irrational rant. Zero is real, found on a number line smack dab between 1 and -1. It’s rational. You can add, subtract, and multiply by zero. You can divide zero (just don’t try to divide by zero, the universe will implode). So yes, zero is a number. It’s the exact amount of dessert you’ll get if you don’t eat your supper. It’s exactly how many f***s I give that your friends don’t have to do chores and get to stay up late. It also happens to be the number of times you’ll win an argument with me or your mother, young man. Speaking of numbers, there are three more places you can stalk follow me: Facebook, Instagram, and Twitter. I’m here to remind you that Christmas is now quickly approaching. Relatively speaking, anyway. There are just 36 more sleeps. That’s five weeks and a day. Five more Sundays! One hand, I’ll miss some traditions we used to have. On the other hand, I’m more excited for this Christmas than in Christmases past. I can almost smell the cinnamon rolls baking in the oven and the coffee and tea brewing in the Keurig. When your classroom seems to be all boys, yet they still break your heart..
You can also find me on Facebook, Instagram, and Twitter. Let’s connect! 1. If you opened a store what would you name it and what would you sell? 2. If you could grow anything in the garden, what would you grow? 3. If your stuffie could talk, what would it say? Crash: He would say a lot of stuff like Lets play Minecraft and Can we snuggle? 4. If you were to draw me a picture right this instant, what would you draw? 5. What sound do you like? 6. If you could ask a wild animal anything what would you ask it? 7. If animals could drive, which one would be the most fun to ride with? 8. What are three things you want to do this winter? 10. What’s the funniest word you know?